Renew Wisconsin: Commentary: When will Wisconsin utilities finally embrace solar? Commentary: When will Wisconsin utilities finally embrace solar? For solar energy in Wisconsin, the last 24 months have been nothing short of electrifying. After the best-year-ever in 2015 led by installations on businesses and homes, 2016 started with a jolt when La Crosse-based Dairyland Power Cooperative committed to 14 large projects scattered across the full length of western Wisconsin. About half of these projects will be fully operational by the end of February, and the remainder before July. 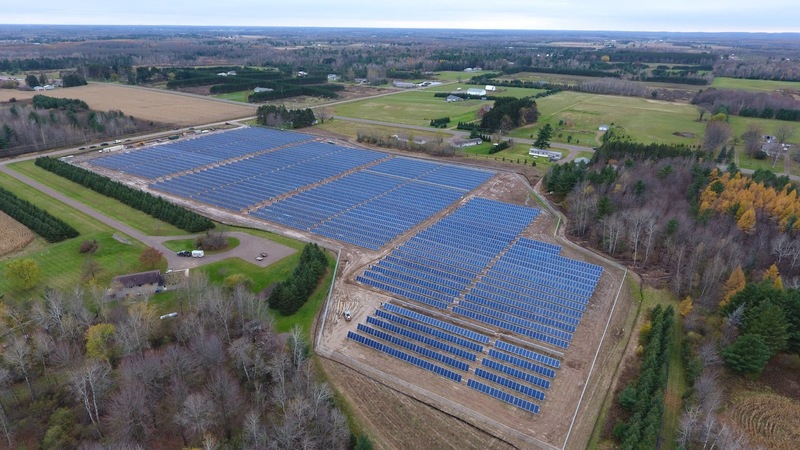 Projects by Alliant Energy, Bayfield Electric Cooperative and Madison Gas & Electric delivered the next pulse of sun-generated power. Their installations span the state from Iron River near Lake Superior in the north to Beloit by the Illinois border in the south. Large arrays placed on 16 Wisconsin stores owned by national retailer Target also contributed to the ongoing surge of solar generation. Located principally in southeast Wisconsin, Target’s rooftop systems encompass the largest customer commitment to solar energy to date in the Badger State. 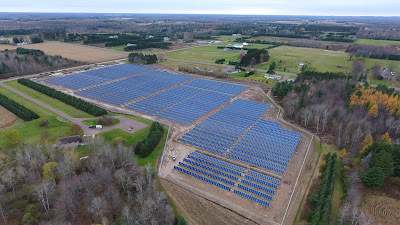 When the final project in this wave is energized this spring, Wisconsin’s solar portfolio will stand at 60 megawatts (MW), producing enough electricity to supply 7,000 households each year. A year ago that number was only 25 MW. Notwithstanding Target’s remarkable initiative, Wisconsin electric providers have accounted for most of this recent growth, driven primarily by cooperatives responding to the desires of their owner-members. As impressive as these numbers appear to be, however, a comparison between our solar marketplace and those of the other 49 states places Wisconsin in 34th place, behind our Midwestern neighbors Minnesota, Iowa, and Indiana. Given Wisconsin’s second-division status in this area, it came as a shock to many when WPPI Energy and NextEra Energy Resources announced plans in late January to jointly pursue a 100 MW solar power plant adjacent to the Point Beach nuclear plant north of Manitowoc. As presently planned, NextEra’s project would supply WPPI’s 51 member municipal utilities with clean electricity under a 20-year contract beginning in 2021. A recently completed NextEra Energy solar project of similar size provides a glimpse into the economic benefits we anticipate from the Point Beach solar project. Located in Alabama, the River Bend plant, which supplies electricity to the Tennessee Valley Authority, created about 350 jobs during construction, with most of the workers coming from the local area. In addition to being a job generator, River Bend will provide tax payments for schools and local services adding up to nearly $10 million over the life of its current contract. So too will the Point Beach solar project, to the tune of $400,000 per year while producing safe, clean, and renewable electricity for municipalities like nearby Two Rivers. The Point Beach announcement highlights another positive attribute of solar power in Wisconsin, which is that our state has an abundance of locations well-suited to accommodating large projects, including brownfield sites such as the former Kewaunee nuclear station now undergoing decommissioning. Closed since 2013, Kewaunee is a mere 15 miles away from Point Beach, and has the infrastructure in place to host a similar-size installation. Local officials should take a cue from WPPI’s action and press Dominion Energy, Kewaunee’s owner, to explore re-energizing the 900-acre site with solar power. Indeed, nothing demonstrates the cost-effectiveness and low-risk nature of a generation source as emphatically as a 20-year power purchase contract. Now that it has become cost-competitive with new wind and natural gas generators, shouldn’t solar power be the default resource going forward with all Wisconsin utilities? It’s worth remembering that Dairyland and WPPI are unregulated power suppliers and as such do not need approval from state regulators to pursue large-scale solar for their members. But Wisconsin’s largest power providers are investor-owned utilities, and do not have the same latitude. They need approval from the Public Service Commission (PSC) to build solar projects of any size for their ratepaying customers. PSC Chairwoman Ellen Nowak recently stated, “Right now, there’s not a need for a lot a new generation of any source in Wisconsin,” indicating investor-owned utility-scale solar proposals may encounter tougher sledding. While suppliers for municipal and cooperative electricity providers can go big on solar power today, investor-owned utilities have yet to come up with a strategy for persuading the PSC why large-scale solar is needed and is in the best interests of all ratepayers. And until they do, they will remain largely bystanders to this build-out, hampered in their ability to pursue installations apart from the occasional shared solar array or demonstration project. Now is the time for Wisconsin’s larger investor-owned utilities to capitalize on the solar leadership of Dairyland Power Cooperative and WPPI Energy. While the solar development we have today is creating jobs and helping businesses manage their energy costs and compete for new customers, it can do so much more for Wisconsin. For years, organizations like ours have been presenting the public policy case for solar energy, with modest success. But if the state’s largest utilities decided to make the case for an expanded build-out based on simple economics, the chances of convincing policymakers will improve dramatically.